Our first home Varsity game of the 2018 football and cheer season is this Friday! Our new home field is Bray Park, located at 280 Bray Park Road, West Columbia, SC. 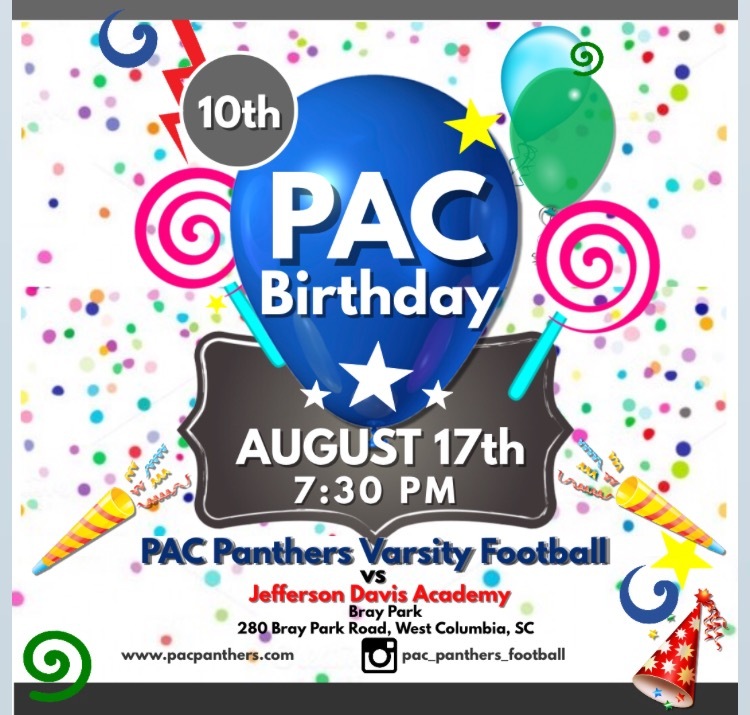 Please plan to come out and root on your PAC Panthers, as they take on Jefferson Davis Academy. Game time is 7:30 and this week’s theme is “Happy 10th Birthday, PAC!”. We will have birthday cake and games to celebrate! Admission fees are $7/adult, $4/students, under 6 are free and $20 family maximum. Oh, and you get to meet our new mascot…. 😊 See you there!